The reigning world champion team Mercedes started the 2019 FIA Formula One season not only with a win, but it also claimed the biggest qualifying performance improvement compared to the 2018 one-lap performance among the leading three outfits. Formula One introduced modified technical regulations for the new season. The changes affected mainly the aerodynamics of the cars. The dimensions of the front and rear wings have been increased, the front brake ducts and bargeboards have been simplified, the cascade elements on the front wing have been removed. The governing body FIA has hoped that the changes would help the quality of racing by increasing the number of overtaking manoeuvres during the Grands Prix. The aerodynamic modifications should enable drivers to follow the cars of their competitors from a closer proximity. When the engineers of teams first started their research regarding the new technical rules, they thought that the cars will be slower by around 1.5 seconds due to the loss of downforce. The question whether the revised regulation will bring a more exciting racing is yet to be answered. 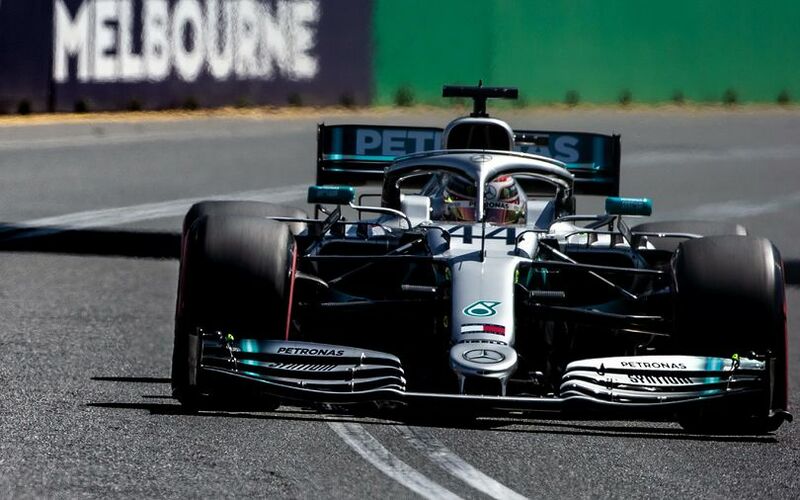 The Australian Grand Prix usually sees a small amount of overtaking manoeuvres, because the narrow street circuit of the Albert Park makes it extremely hard to follow other cars and create a real chance for overtaking due to the relatively short straights. However, the season-opener answered another question by showing that cars did not get any slower. In fact, every team has found time compared to the previous season except Williams. 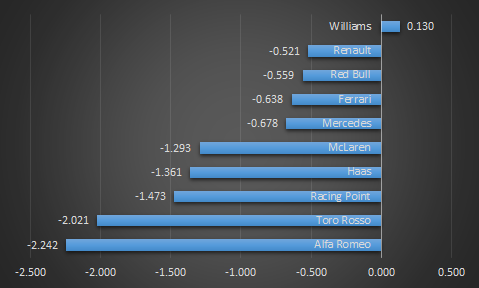 Among the three leading teams, Mercedes, Ferrari and Red Bull, the Anglo-German squad recorded the biggest improvement. Lewis Hamilton’s pole position time of 1m20.486 was a whopping 0.678 seconds faster than his 2018 fastest lap time which also saw him grabbing the first starting position. Ferrari’s current car, the SF90 was 0.638 faster compared to last year. However, that improvement was not enough for the red team which had to trail Mercedes by a big margin both in 2018 and 2019. Grabbing the third position on the grid, Sebastian Vettel was 0.704 slower than Lewis Hamilton’s best lap time on last Saturday. Kimi Räikkönen, the best non-Mercedes driver was 0.664 seconds behind the pole position in the 2018 qualifying session. Red Bull managed to find an improvement of 0.559 second over its best qualifying lap time of last year, albeit this performance is a a tenth shy of what Ferrari and Mercedes have achieved. However, Red Bull’s improvement can be seen as a success as the energy drink-owned team ditched Renault for Honda, changing its long-time engine supplier after twelve years of collaboration. It indicates that the initial phase of their collaboration is at least on the same level as Red Bull's partnership was with Renault. Of all teams, Alfa Romeo has achieved the most significant improvement. The Hinwil-based team’s best qualifying lap time was 2.242 seconds faster than their fastest lap a year ago. The former Sauber outfit has not changed its engine supplier, it still uses Ferrari’s power units, however the team might use more powerful engine modes compared to the insecurity revolving the team at the start of the 2018 season. Moreover, the outfit now enjoys a deeper technical collaboration with Alfa Romeo and its technical team works under the guidance of Simone di Resta who was Ferrari’s chief designer previously. One single team could not make any improvement compared to last year. The best qualifying lap time of Williams’s faster driver George Russel was 0.13 seconds slower than the 1m24.230 time which saw Lance Stroll making it through into Q2 during last year’s qualifying. This negative record is only a further testament for William’s current struggles with its new car, the FW41.